Activity involves field data collection with a ground penetrating radar (GPR) unit to identify the location of an underground storage tank (UST). Data collection grid could also be collected and mapped with GPS unit. Actual field data are included with the exercise if field data collection is not an option. The activity gives students hands-on experience with data analysis / interpretation and mapping of subsurface storage tanks that are frequently associated with environmental contamination. 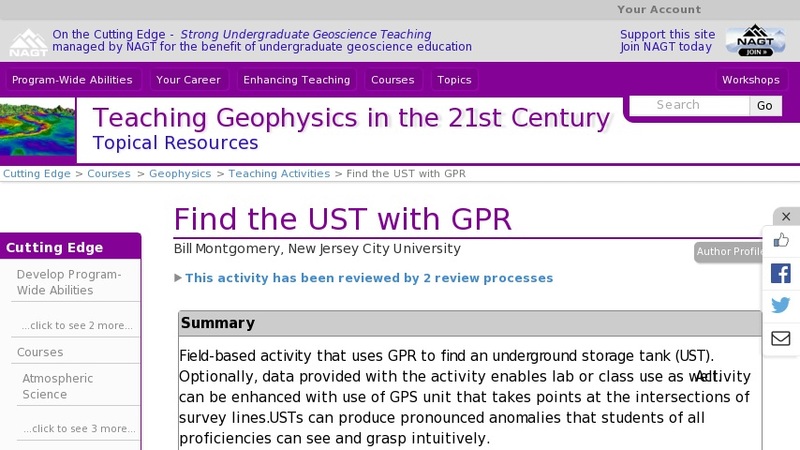 This activity uses online and/or real-time data and uses geophysics to solve problems in other fields.